The weather in the Northeast can be wildly unpredictable at times. Any resident New Yorker will tell you that the months leading into the summer are chock full of emotional highs (tropical temperatures!) and lows (snow flurries!) — and that sometimes you experience both within a matter of hours. The cycle is always the same; just when you’re certain summer has truly arrived (and you’ve neatly tucked all of your wooly sweaters and fleece-lined leggings into a storage bin way, way, way up in the attic) the weatherman reports with a jovial grin: “there’s a cold front rolling in! We’re looking at temperatures in the mid to low 40’s”. The past few weeks, however, have been total paradise: sunny skies, deliciously balmy nights, and — just for good measure — a heat wave or two. Nearly every day has been “close-your-eyes-while-you’re-waiting-at-the-crosswalk-and-be-transported-to-a-Caribbean-island” hot. Or, “smell-an-open-bottle-of-sunscreen-at-your-desk-and-pretend-you’re-really-at-the-beach” warm. (Not that I did either of those two things — because that would be strange, right?) I will admit, however, to spending every available moment savoring the euphoria of the warm air all around me: breezy sundresses and afternoon strolls in Central Park, airy tank tops and trips to the juice bar, and the grass between my toes as I walked barefoot in the back yard. 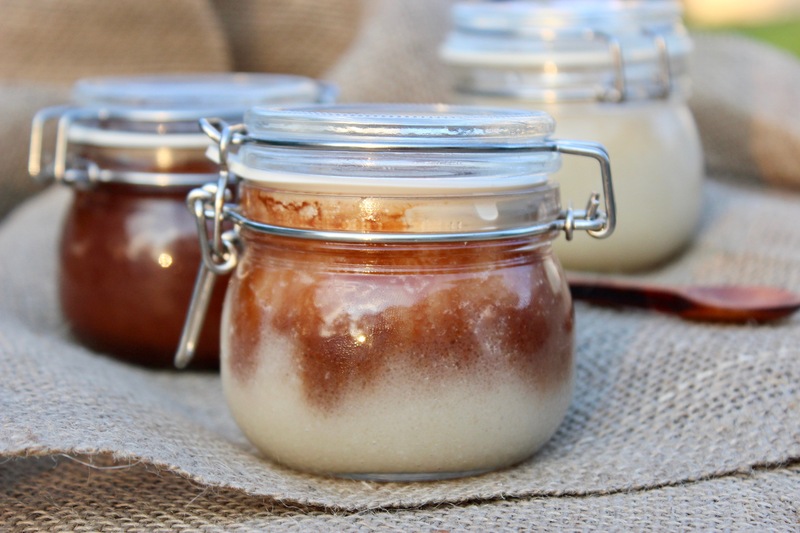 There’s not much that can take me away from the outdoors during the months of July and August but I do reserve 10 minutes every week or so to make a batch of my special summertime sugar scrub. 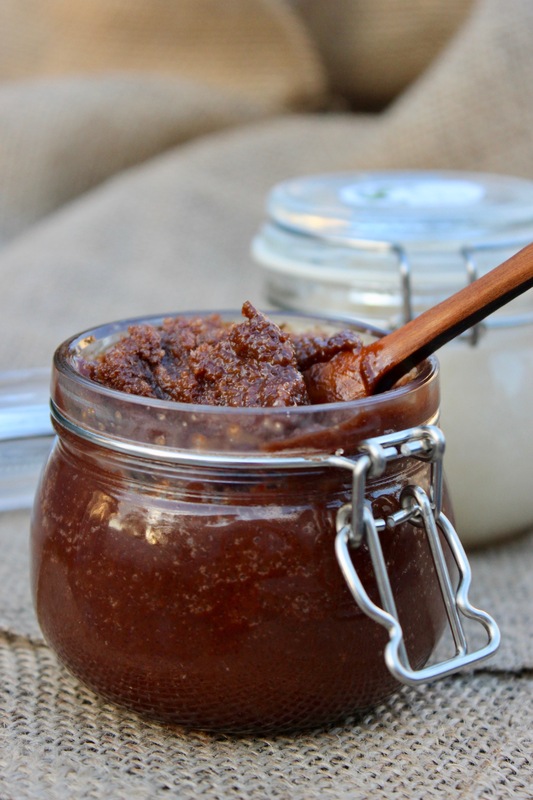 Based on the idea that what’s good for your insides is usually good for your outsides too, I make mine from three, simple, natural ingredients: exfoliating cane sugar, moisturizing coconut oil, and antioxidant-rich cocoa powder. Out of cocoa powder? Leave it out; a simple mix of cane sugar and coconut oil works wonders on dry skin too. Mix the sugar and cocoa powder together, until combined. Add the coconut oil and stir until fully incorporated. Store in an airtight container at room temperature. Pro Tip: Don’t slip! The coconut oil can make the bottom of your shower feel slippery so make sure you swirl the sugar scrub onto your arms and legs before you use soap. As you rinse the soap off your body it will help clean the bottom of your shower too!